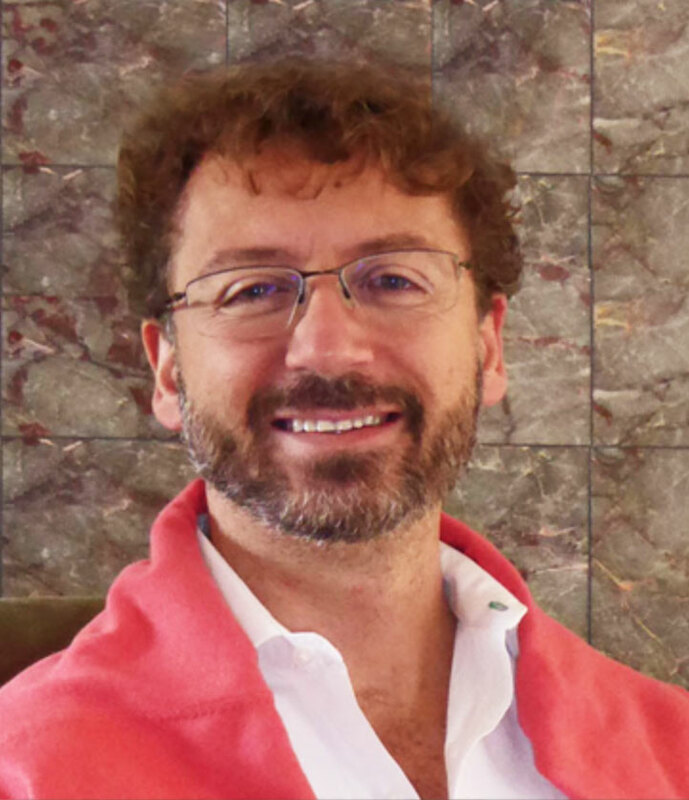 Crótalo Sésamo (Alessandro Zattoni) was born in Turin (Italy) in1970; he graduated in computer technology, his first contact with Damanhur at the age of 18 was based on his interest in Natural Medicine and the Development of Paranormal Faculties. Damanhur is a Federation of communities that has about 1000 citizens and extended over 500 hectares of territory throughout Valchiusella and the Alto Canavese area in Italy, at the foothills of the Piedmont Alps. Damanhur is an eco-society that values spirituality, individual and collective growth, contact with nature and all the forces of the spiritual ecosystem. It has 40 years of experience in sustainable international “community living” and advanced spiritual and technological exploration of human potential. The United Nations designated Damanhur as a model for a sustainable future. Damanhur is a center for research and practice of medicine and science. The Federation of Damanhur is also known throughout the world because its citizens have created the Temples of Humankind, an extraordinary underground work of art dedicated to the reawakening of the divine essence in every human being. The temples are considered by many as the “Eighth Wonder of the World”. Crótalo Sésamo has lived in the Federation of Damanhur for more then 28 years, as a spiritual researcher, Spiritual Healer, and builder of the Temple. In these endeavors he has fulfilled many roles and taken on much responsibility. He was the director who helped form the Damanhur Center in Turin from 1991-1995. From 1996-2010 he created and become the CEO of the Damanhur Welcome Center and Olami University in Damanhur. This company organizes visits, seminars and the educational programs which are enjoyed every year by thousands of guests from all over the world who come to visit The Federation and the Temples of Humankind. In 2001 he become Ambassador of Damanhur and begin to travel the world to teach and open Centers and reference points. In 2004 he opened the Damanhur Center Croatia in Zagreb, and in 2005 the Damanhur Center Austria in Wien. As a Specialist in the fields of Spiritual Healing, Ancient Civilizations and Inner Research, he teaches courses in Astral Travel, Past Lives Research, Inner Harmonizing, and Selfic Healing. Additional teachings done by him are in the realms of social, spiritual, economic, political and organizational implications of community life, the relationship with the state, other associations and communities. He has founded Mystery Schools and has been teaching throughout Europe, the United States, Canada, Australia, Mexico, Brazil, Egypt, Argentina and the Emirates. In March 2016 he’s been invited to speak at the UN at the international day of happiness, as representative of the Damanhur Federation. In 2010 he become coordinator of all the Damanhur ambassadors. He has been trained by Falco (Oberto Airaudi) the Visionary Founder of Damanhur, who prepared him to continue his alchemy art in the ”Selfic Paintings” which he is currently doing. Crótalo teaches the first Damanhur Mystery School in Boulder Colorado with courses in Astral Travel, Past Lives Research, Ancient Civilizations & Inner Research in Inner Harmonizing, Selfic Healing, the widening of Perception, as well as Contact with the Plant World.